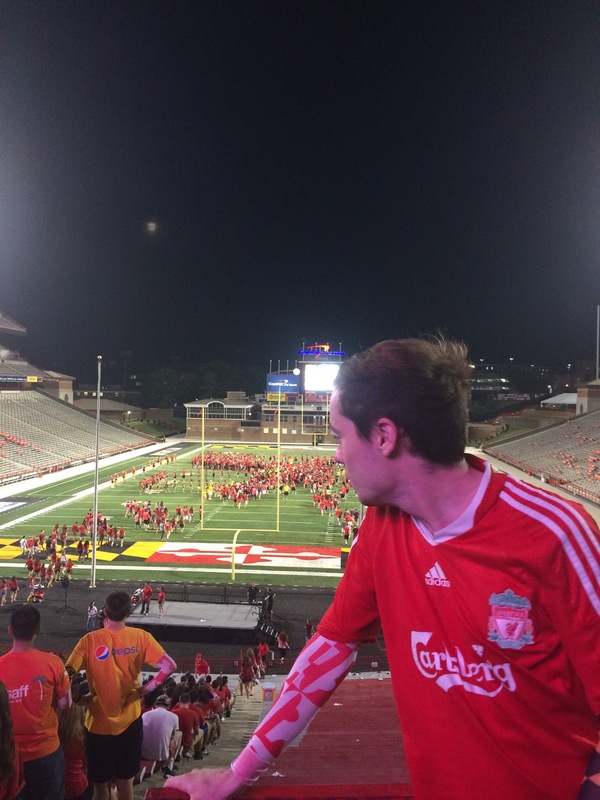 Tom Beeston's spent the past few months at university in America, and explains the vast differences between sports. Okay, put both of your hands up (unless you’re reading this in the paper) and be honest; with the exception of Roses, where nearly everybody gets their Olympic hats on, how many of you have trudged down to the pitches on a Wednesday afternoon to watch a sports match that hasn’t featured your best mate, significant other, or yourself? That’s okay! For all the effort put in by our student athletes, competitive sports at Lancaster are poorly attended. The culture in the UK, for most sports, is that the finest athletes take a route that is alternative to university – usually by an academy. In the United States, campus sports are a completely different story; celebrity athletes, enormous arenas and huge attendances – all part of a billion-dollar industry to attract new students and to encourage its athletes to remember their university fondly when they become stinking-rich superstars. I’ve been spending this academic year at University of Maryland, College Park – just north of Washington, D.C. – as an exchange student, where I have witnessed this culture first-hand. One of the closest friends I’ve made while over there has been Nick Sobel, a journalism major who has worked for the university’s basketball team, and subsequently D.C. United of the MLS, with the respective media teams. I interviewed him to help compare the differences in campus sports between Lancaster and Maryland. As a forewarning, get your stars and stripes out now, because for this article, football is unapologetically referred to as soccer, and American football is football, spoken by an American. Star athletes in basketball, football and soccer have their faces plastered everywhere on campus – as soon as I flew over to the U.S., I was whisked to a college spirit event, inside a 50,000-seater football stadium on campus, where the football team was introduced to the thousands of new students. Attendance figures are huge – people are roped in with the promise of free scarves until they learn that the guys they’re watching are celebrities. 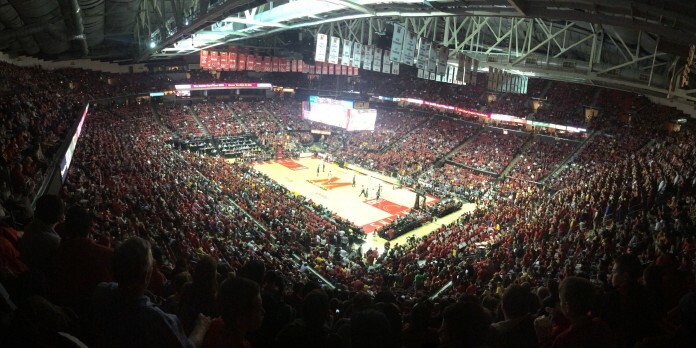 In particular, the big names of basketball – Melo Trimble, Diamond Stone, Jake Layman – are the talk of the campus. Students have a right to be excited – these guys are destined for the NBA. Boosters are wealthy alumni of the university, who donate money to the university to improve their sports programs. It is hoped that the most successful amongst the current crop of athletes will become boosters to the next generation. The typical image of a student athlete is someone whose sporting talent has brought them to the university, rather than any kind of academic quality. Provisions are often made to assist with getting them over the line with their degree. The performances a priority, the academic side an afterthought. However, this isn’t always the case. 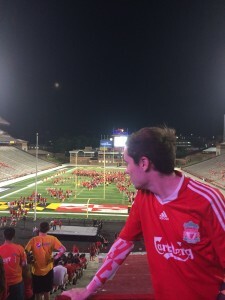 While the basketball players are the darlings of the Maryland supporters, the football players are not painted in the same light, mainly because of some poor performances on the pitch. Initially my weekends were too busy to attend the games – in which time I learnt that I wasn’t missing much anyway. The football team’s performances cost head coach Randy Edsall a job. Yes, that’s right – they make high-profile sackings. And with sackings come – you guessed it – money. “After he got fired I think the University still owed him something like $2.9M. I know! Isn’t it insane that a college coach makes that? An American college football coach is getting paid millions. Not only that, but their houses are paid for, their kids get good benefits from it, it’s just insane. So Randy Edsall was not the best head coach – I think he won maybe 20 games out of, like, 60, in his time at Maryland, and he still gets owed $2.9M after making tons of millions before that. So, it’s a pretty sweet gig. But if you’re a good football coach, like Ohio State’s coach, then you’re making three times as much as a coach who may not be doing as well; success can be a big factor. One of the principal benefactors for just where all of this money comes from is Under Armour. Founder and CEO Kevin Smith is an alumnus. While I’ve been to a handful of basketball games, the one sport I’ve paid close attention is the only one I know a great deal about – soccer. Me and Nick actually made friends with each other by how often we ended up going to the soccer stadium together to watch the games. While soccer’s popularity is rising, it still has some way to meet the duopoly of basketball and football. The importance of these two sports pushes all other sports to the side. I asked Nick what other sports I had to look forward to in the coming semester. Here in the UK, we are romanticised with the idea that anyone can make it and be famous. Just look how long the X Factor endured. Britain’s Got Talent, Big Brother, The Voice. We lap them up. In sports? Jamie Vardy. Less than four years ago, he was playing non-league football – this season we have seen him score in eleven consecutive games, a Premier League record. In the U.S., it’s not so easy for just anyone to become MVP. 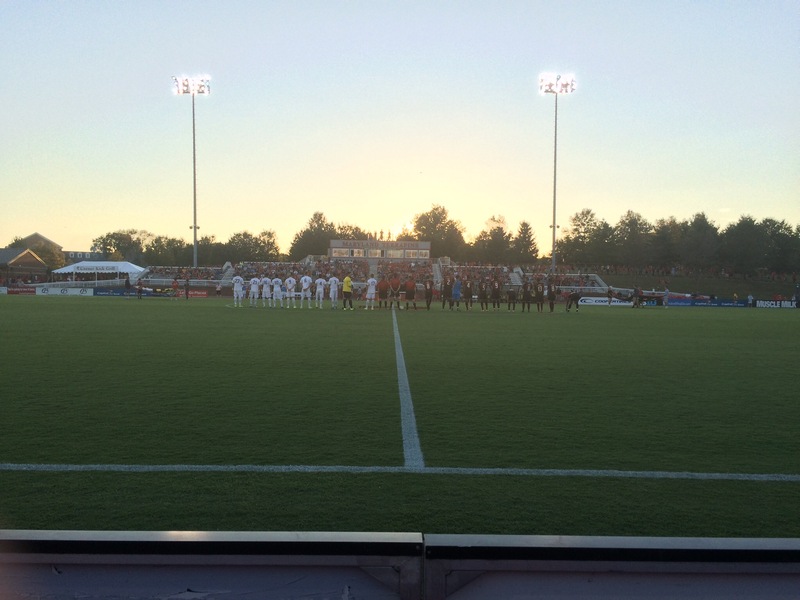 Although the culture of campus sports is wildly different at Maryland in comparison to Lancaster, it has taught me a lesson in college spirit for sports. So, when I come back for my final year next year, I may head down to watch the mighty Furness. But only if the weather’s nice. And only if I have someone to go with. And only if they’re handing out free scarves at the game.